In order to implement the opinions of the party group of the Ministry of Education of the Chinese Communist Party on strengthening classroom teaching and the relevant documentation requirements of the Provincial Department of Education, the school has formulated a selection program for the construction of classroom teaching brand courses and launched the classroom teaching brand curriculum construction project and the 2018 boutique online opening curriculum project. The brand course construction aims at strengthening classroom teaching, standardizing classroom teaching activities, changing classroom teaching concepts, and reforming classroom teaching models and student evaluation methods. This activity is divided into three phases: organization, launch, comprehensive construction, and selection and acceptance. Construction is carried out in accordance with the requirements of the brand course construction and evaluation standards. The selection of excellent brand courses is completed before June 30, 2018, and financial support is provided. The online course construction activities are mainly based on the construction of Hebei Province's quality online open courses, and the construction of provincial and school-level boutique online open courses for 2017 will be required. The purpose is to demonstrate, lead and promote the construction and development of the school's online courses through the opening of quality online courses, improve the level of school network courses, strive to introduce better and more curriculum resources to open platforms, and expand the utilization of teaching resources. At the same time, it further promotes the use of information-based teaching platforms such as Learning Pass and Blackboard. 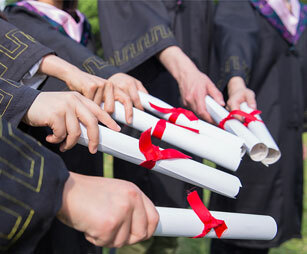 Through the "two courses" construction activities, the purpose is to improve the use of modern teaching methods and means for teachers to improve the level of classroom teaching, to provide students with more high-quality teaching resources to meet the needs of students' independent learning.